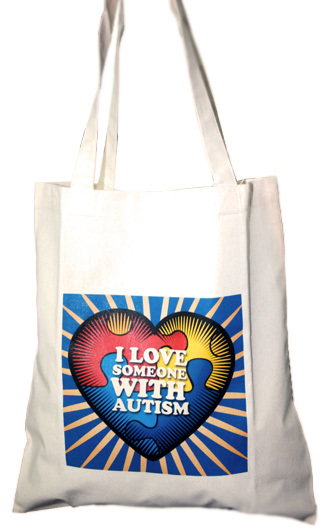 This Autism Lightweight Tote has "I Love Someone With Autism" screen printed on the front. Although the tote is lightweight, it is made of durable recycled canvas fabric. 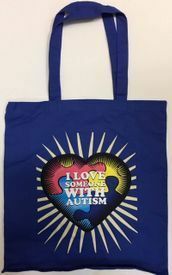 The autism tote measures 16"H and 15" wide.